Just want to quickly mention a new CD that I think would be a great gift to a music lover – especially those who like instrumental music. 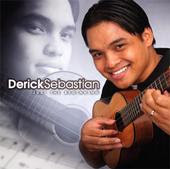 This guy, Derick Sebastian is phenomenal – go to his website to check it out, listen to him play ukulele, and order a copy of his CD. While you’re there, check out “his story” – a story of resilience and God’s love and provision.